Context: The team is facing a project about something completely new: although in line with their mission and strategy, the team needs to better understand the project’s specific requirements before getting into the development phase. Needs: The team needs to focus on the overall concepts that represents the project’s foundations. Activity: Building a shared concept. A multidisciplinary approach is widely recognised as a valuable resource to develop innovative and efficient projects. But putting several competencies around the table, is not the key: the key is to bring around the table those who have something to say, those whose needs are tackled by the project, those who will benefit by the final outcome and all those who are called to work and cooperate to get to the final result. We can even say that user needs and requirements can be considered a specific skill: can user requirements be left out? Can organisations’ constraints – either imposed or chosen – be left out, if that organisation is the final user of a service or its provider (think of Public bodies, for instance)? Isn’t it easier to involve users and ask them how they would like the service to be, or, to say it better, to ask them which service they really need? Needless to say, anyone asked about their needs tends to focus on existing solutions rather than focusing on their needs. Media also plays a role in this, by pushing users to consider solutions that – it’s not a coincidence – are already available on the market. After all, is not this one the raison d’être of Marketing? Innovations does not lies in the possible solutions to a specific need, but should be considered from the the very beginning, in the search for real needs that are hardly revealed or never clarified enough. These are complex processes that require a guide. Including end users and service providers as key components of a team is a good idea, but it’s one of those situation where the Human Divide may become very visible. Beyond specific skills and individuals’ knowledge, how much does the diversity in the roles of team members affect the concept of a project? which is the meeting point where users, providers and professionals can meet? Approaching a project’s concept by involving an enlarged platform of participants (professionals with different skills, service providers and end users) requires the Human Divide to be overcame. 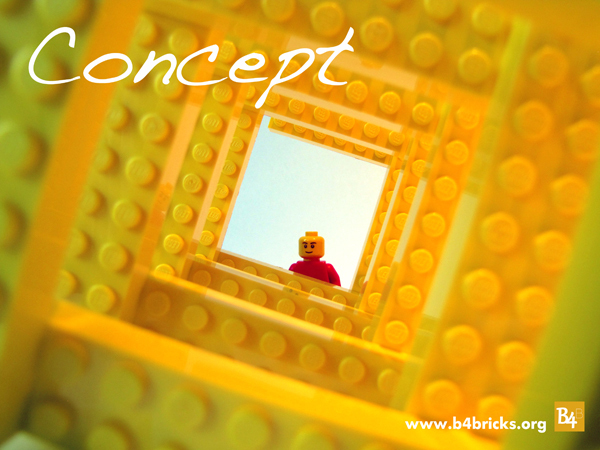 The Concept Path takes advantages of one of the key strengths offered by the LEGO® SERIOUS PLAY™ method. The workshops’ length is stricly connected to the specific goals, which may be limited to the definition of the overall concept up to the creation of a service mock-up. The workshop may therefore last between 4 hours or 2 days, or they can be split in several phases. This entry was posted on May 4, 2013, 12:24 pm and is filed under Uncategorized. You can follow any responses to this entry through RSS 2.0. Responses are currently closed, but you can trackback from your own site.